What prevents the SLK from full sports car status is lack of manual transmission availability. Like so many other manufacturers, Mercedes sees no point in Federalizing a separate (manual) gearbox for a customer take rate of 5 or 10 percent. Still, those are the very customers who will buy an Audi TTS or Porsche 911 expressly because those companies offer them the choice to shift gears by depressing a cutch pedal. 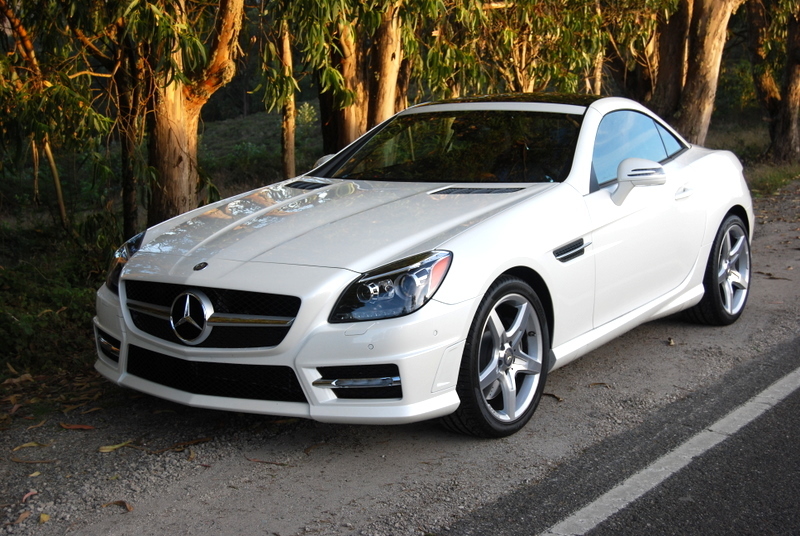 Not that the SLK’s 7-speed automatic is a bad piece of engineering. To the contrary, it offers the driver Efficiency, Sport and Manual modes, while providing small steering wheel-mounted paddles to control up and down changes. Even so, the SLK is less driver-involving than it could be with a slick stick shift. Packaging is tight in this baby Benz, Pretty much anything you carry on an outing will need to store in the compact trunk because there’s almost no ancillary storage in the cockpit, save two small door pockets, a lockable cubby between the seats, and the glovebox. There is absolutely no storage behind the seats. If you chose to retract the nifty folding hardtop, available trunk space becomes even more circumscribed. Use of the folding hardtop restricts you to a small central bin in the trunk, fitted with a latchable lid. Weekend outings for 2 will require backpack-size take-alongs. New Mercedes Tells Drowsy Drivers to Wake Up!